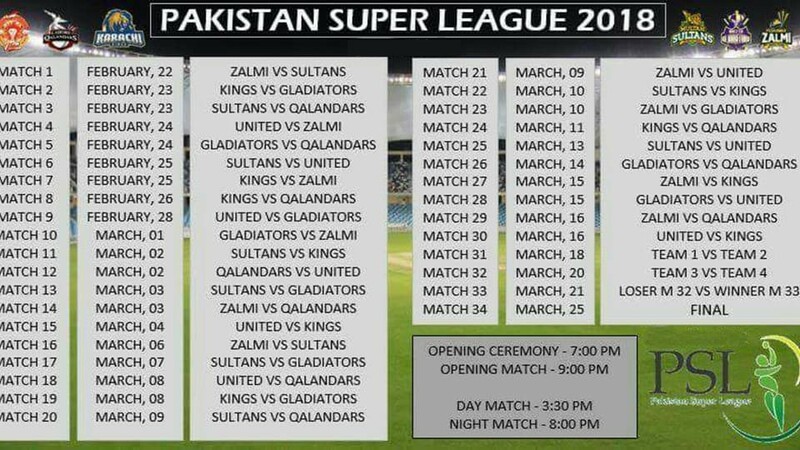 Pakistan Super League (PSL) 2018 Schedule is announced. Pakistan Super League 2018 will start from 22nd Feb 2018. This is the 3rd PSL and 6 teams are participating in PSL. The matches will be played in Dubai, Sharjah, Lahore and Karachi.